BERKELEY, Calif. (KGO) -- More than 100 college campuses and universities nationwide will participate in a national day of action inspired by presidential candidate Bernie Sanders. UC Berkeley and UC Santa Cruz students will be taking part in the Million Student March on Thursday afternoon. 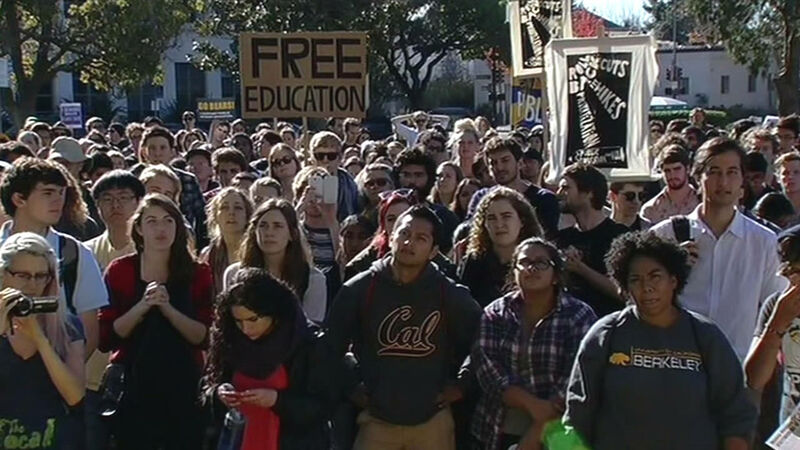 Sanders' idea is that free public college could be achieved if one million students took to the streets. Demonstrators are also demanding cancellation of all student debt as well as a $15 minimum wage for all campus employees. The UC Santa Cruz protest begins at 1 p.m. at Quarry Plaza and Cal's protest starts at 2 p.m. at Sproul Plaza.